Risk has its own reward! There are times in life when we must make decisions which will change the paths of our lives forever. These times are the ones when there is no struggle with what we believe to be right, but what the world may project as wrong. The conflict of an unwed mother having a baby, or a boy joining a gang to survive in his world are decisions which are faced daily. On the outside looking in, advice can seem to be judgmental missing the reality of the person making the decision. There is risk with life, and risk with living. Decisions are made spontaneously based on circumstances and situations because something has to be done. Is it wrong to decide to let your family feel the embarrassment or shame of an unwed mother – while you decide to risk it all and have that beautiful baby? Is it wrong to join a gang when the alternative can be a family member or loved one or even yourself losing your life? The choice of life, and the choice of death. It’s only simple when looking from the safety of a protected world. Are social services/family / friends there to help in communities or are they there to judge those who dared to risk making a decision? Some decisions can turn negative situations to positive outcomes, helping many. Helping more than one! Life sure can be challenging with risks we cannot see, and even prepare for. So we make the best decision we can with the information we have. Every-time I look at my first born child, I am happy with the choice to have him, and share his life with the world. In a heartbeat, I’d do it again, and defy the odds which were against us based on our circumstances. If someone chooses differently I can understand their decision, even if I may not agree. They alone know their shadow. Do we make choices based on what others see as easy, or based on what we believe in our heart to be right. My Shadow follows me, its mine, and I walk with it when the light dims! If I look back it turns. So look back, dry your eyes… your decisions were the best you could make at the time. Walk proud. Walk tall. Risk has its own reward! Walk in peace -Be inspired! You can also share with me on Facebook and Twitter. I like hearing from you! What keeps me going when I'm unsure of the future? Some folks drink, others may smoke, do drugs.. me, I do words! I'm an addict and if I have to share my condition with anyone its my blogging community. Yes, I admit, I'm UTIOW - Under The Influence Of Words! Why not create my very own drug for this very tough life! To add to that, why not give it's own little acronym meaning! Easy to add to the social shorting of words! Bloggerism is the most safe and friendly 'ism' in the world today. If you want to find an outlet for what ails you - choose this potion, and write your way into that reality sharing world! It's a way to connect with your innermost being, and a way to really expand on your horizon! This pulse publishing has been acting up. Not taking it personal (smile) because 'Murphy' decided to have a job here these past few weeks! I'm going to give Murphy's Law a challenge one day, but will need to get some more experience in resilience, humor and I have to stop enjoying when things don't go as planned! 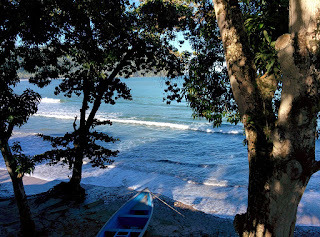 Social media was sending me bonkers again this week, and thus a different approach was taken - I will enjoy using and sharing as I get a better grip on activity and time-zones. Understanding this audience of bloggers and non bloggers is fascinating. Hence my decision to participate in idle word sharing on LinkedIn - and totally enjoyed the question on 'if I could not cuss for 24 hours' . The answer is - of course I can, but within 2 days the activity on that was incredible! Did I have fun with that experiment- I sure did! Thus I discovered I'm in the minority of persons who can not cuss for the specified period - in that instance if you win you lose the popularity contest! It was fun, and relaxing and I met some great folks! 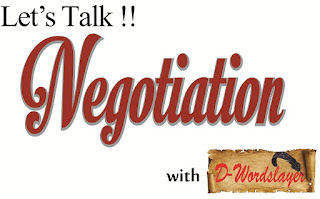 This week 'Negotiation' was the topic on 'Let's Talk' my daily blog on DWordslayer! I've included below everything featured for your ease in reviewing! 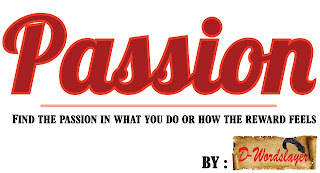 There are two motivational pieces introduced this week - Passion & Focus. So this is where I show you a picture of me UTIOW . Please note the tired eyes and almost graying hair! It can be contagious, so beware! Engage with me and share some feedback on how this message works for you! Thank YOU for reading, commenting and sharing. Keep smiling awesome folks! 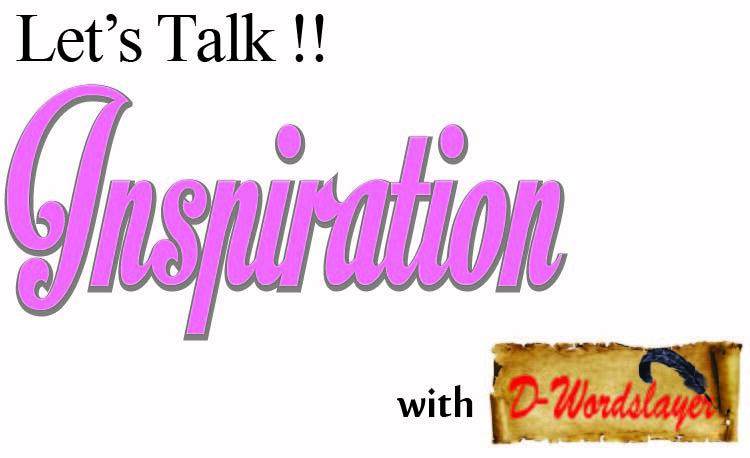 FYI - February is the month of Love, so imagine.. what will I write about? Companies need to remain viable and even dominant in their given markets. A great example is Coca-Cola and Pepsi. Both brands have managed over decades to rotate at number one and two positions in beverages worldwide for decades. The boardroom and local markets have seen some incredible negotiation tactics as their rivalry is legend! Negotiation with people and leveraging relationships in negotiations have made the difference in international presence! Negotiations take place for a reason. Understanding why can change how you prepare to achieve the outcome! Engage with me and share some feedback on how this message works for you! Thanks for reading,liking, commenting and sharing. Enjoy your wonderful day! Meeting at a location which is neutral to both parties is always best but sometimes not possible. If this happens the hosting party should ensure the guest has all professional courtesies available. 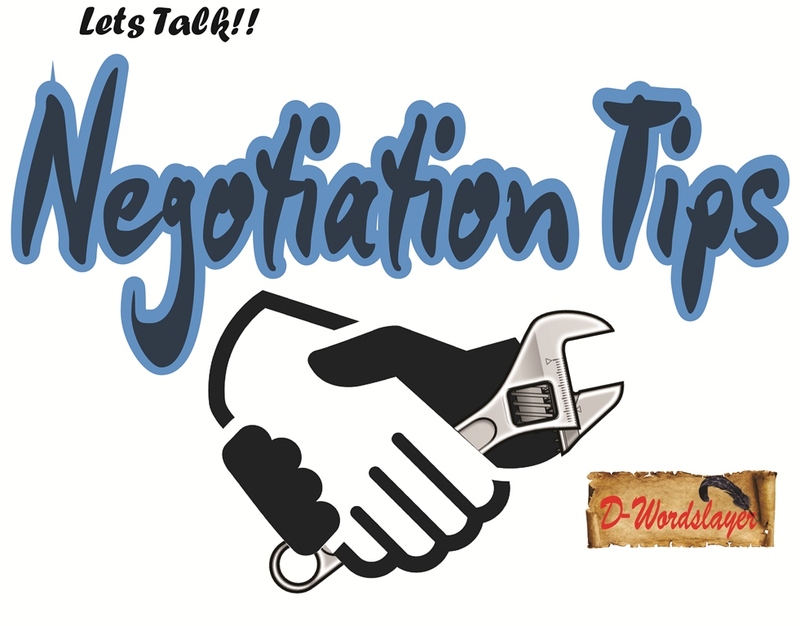 Entering the negotiation should begin with trust, and it is a necessary element for there to be a successful outcome! Be prepared for your discussion. Negotiation and compromise go hand in hand. Be open, be clear and always enter with the mindset that the best outcome will be a win win for everyone. Each party should leave a winner! Engage with me and share some feedback on how this message works for you! Thanks for reading, commenting and sharing. Enjoy your wonderful day! 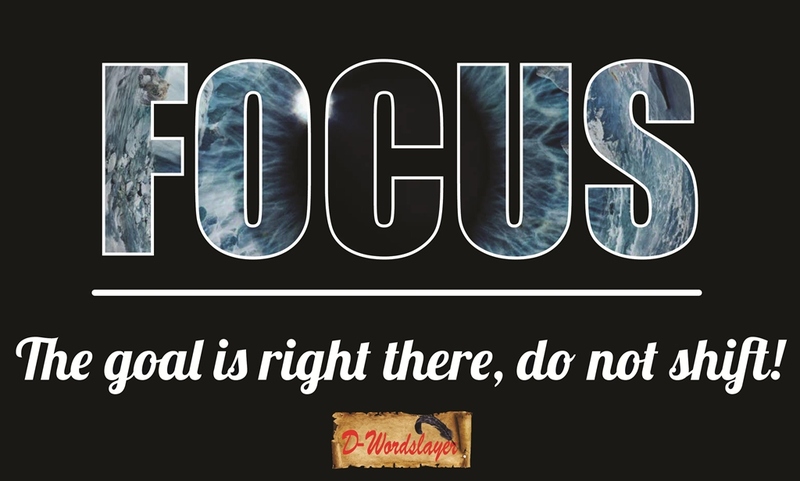 Keep focused on your objective. Distractions and noise will always be present. Develop a sense of purpose in accomplishing the little things and the bigger ones will become easier! Focusing is drawn from inner strength and a cool head. 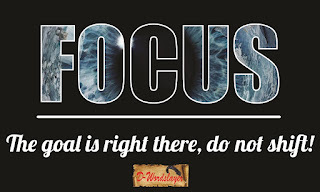 Keep focused to achieve your goals! "Everyday there is something to feel. There is something which makes you challenge the world for more. Find that emotion, expand it and get PASSIONATE about life. Enjoy your life.Feed your Passion - make your dreams a reality!" 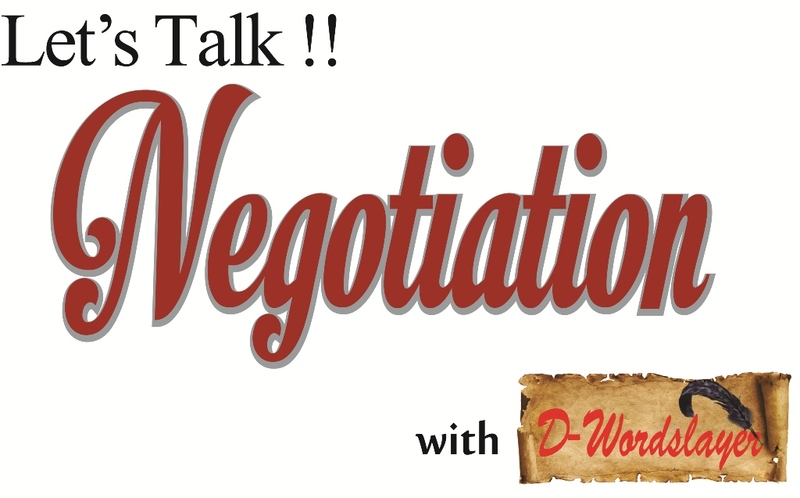 Negotiations need time! This is important to gain an advantage or to be on even footing during negotiations.Desperation is the initiator of loss! If you’re waiting on someone to ask you to dance and he just does not take the bait as you give him the eye, or try to show off your great visual assets, the temptation to be forward is unbearable. Wait. The person making the first move shows their hand, and is open to rejection. If you possess the skill and can get the first move in without scarring – go for it! Most can’t unless there has been an indication of interest by the target of the deal. In business, negotiation works in a similar way to showing interest in a man or woman. You target a customer and test the waters with some details to stir interest. If that’s accepted, you go a bit further with discussions and then the proposal. Never, try to get that first kiss while on the dance floor. That is similar to going into a negotiation without understanding what the other party wants from the deal. With dance both parties may feel a strong mutual attraction, but only one may desire more than that dance! In business the proposal must have something which is of value for the potential client to proceed. The negotiation process needs time and some dialogue. Get to know the other party and their business. What may seem to be a benefit to you may not matter to them. Prove the value of your offer as a solution and asset in acquiring! Create desire! 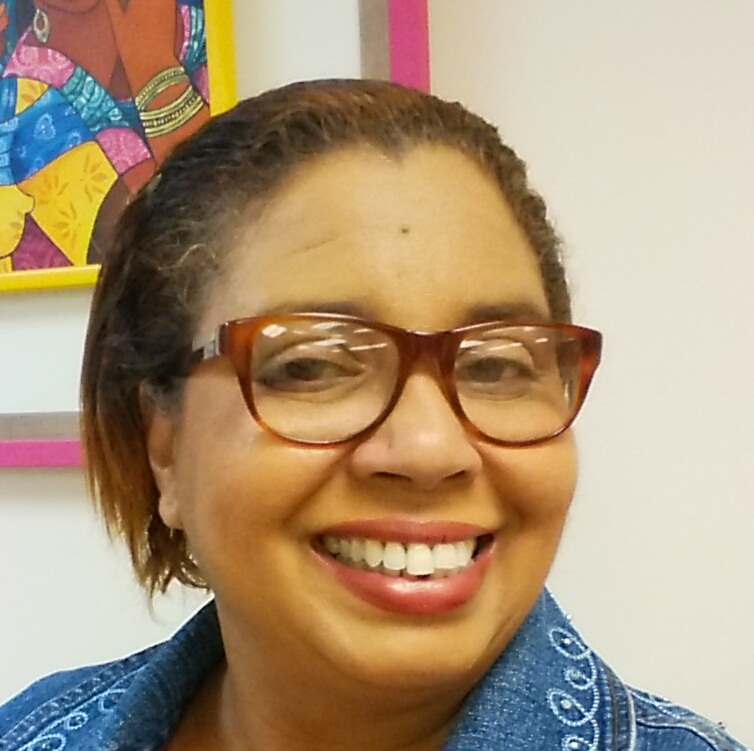 Engage with me and share some feedback on how this message works for you! Thanks for reading, commenting and sharing. It’s time to negotiate! 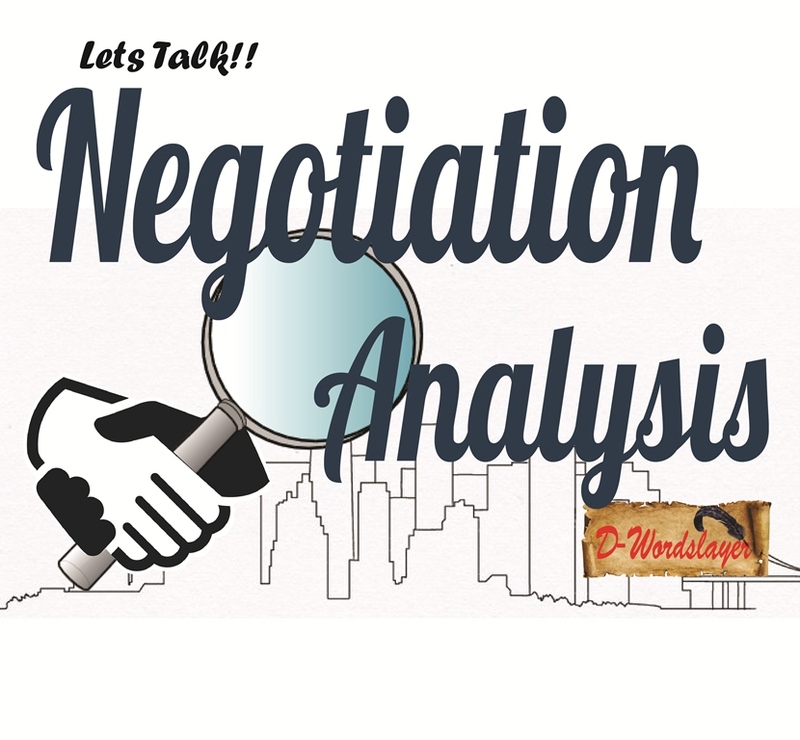 Let’s take an everyday look at negotiation. When you negotiate you are trying to get something for the best deal you can. As the initiator or seller the best deal where both parties gain can help in repeat business. Have a look at the clothes you’re wearing. You saw it in a store and decided to purchase – now think back. The garment was probably well displayed or was something you wanted at a particular price. Maybe it cost a little more than you wanted to spend, but that ‘water resistant’ lining sure made the difference. Then you saw the tag and it said 20% off today, and you said “yes”. Its a great deal because now you can save on what you would have to spend and get an additional value. This instantaneous process, was in fact the subtle negotiation initiated by marketing! When you settled the bill, the seller received his benefit from that negotiation – immediate sale! Negotiation for mutual benefit while securing the best deal takes some understanding of current events / market. Take a moment to gather information before making a decision. It can help you negotiate your best deal today! Engage with me and share some feedback on how this message works for you! Thanks for reading, commenting and sharing. You are awesome! REFLECTIONS… MAKING IT BEAUTIFUL AGAIN! Do you see the storm as it brews in your life? The way it comes and goes making everything seem upside down. At work and home, but mainly in your heart, where you feel the shadows taking residence. That’s the best way I can describe the knocks of life sometimes. The rough and tumultuous seas will roar with thunder, overshadowing all that is good sometimes for more than a moment. I understand. It is a part of the yin & yang of life creating balance and keeping symmetry so we won’t fall too far into the unknown. The challenges and rough times do help us to feel the ‘whole’ of life in a different way. Outside of our bubble is the unknown, a world where anything -good and bad are possible. It is the way we gain that tougher skin, to take on the adverse weather conditions. It is the only way we can ‘make our life beautiful again’. It is our teaching in survival. Reflection: My heart still beats because its alive! A beating heart is a beautiful thing. It is the beauty which is always there whatever the situation. It is rich with action,and it moves with rhythmic flow, shooting wildly as it pumps life. It is beautiful, whatever the storm, and resides within us. We feel, we know and we can love our life. I remember. I can see it all beautiful again! "Make the best of your opportunities when you see them!" Opportunities are not hidden from us. They are there waiting to be discovered and we just have to be ready to find them. The world sends us adventure disguised as challenges so being intuitive and a risk taker helps. It is a process of awareness 'discovering opportunities' and can be quite rewarding when found! 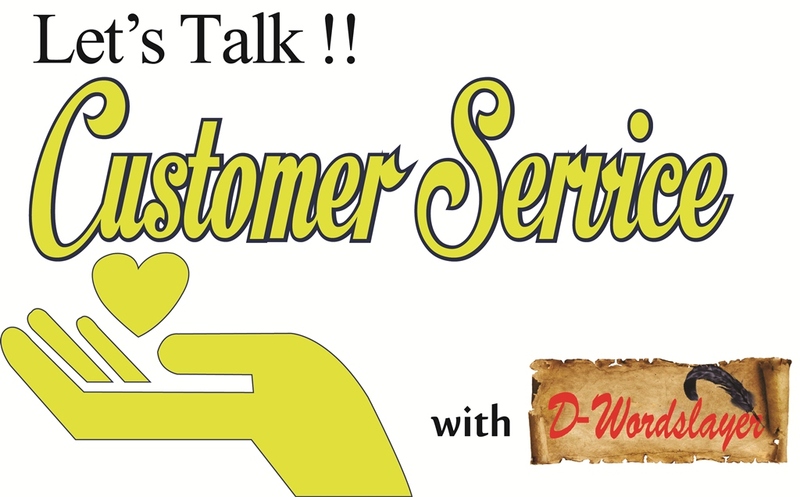 This week D-Wordslayer continued with two minute daily tips to help focus on an essential part of any business- Customer Service. Getting the tips to be relevant to a wide spectrum of industries and people was interesting. 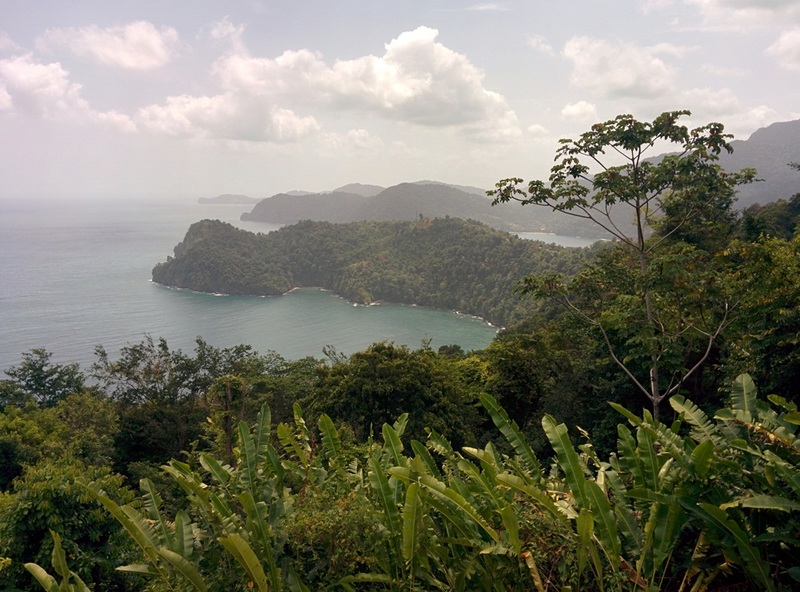 Tapping into my seemingly limitless box of experiences was the biggest challenge. Nothing went as planned but everything was better than expected. When the unexpected happened I was not ready, and not consistent with timeliness. My daily posts went out late, because the artwork was not ready on one day and I did some substituting. The final review before publishing most days produced some changes. Then there were the days my body and mind were on different planets and of course the internet did some crazy dipping unexpectedly. By the time you read this, its the third attempt at Pulse to publish having lost 2 posts via faulty saving on the platform. Through it all my concern was for my followers who were eagerly awaiting my postings. Getting blogging right means being better at preparation for the week to come. Even when posts are ready to publish the desire for changes may exist - have to figure that out and fix me. Reliability matters and I lost some points for that - will be making it up next week! Having been involved in traditional sales and service the desire to go to what is comfortable did battle with the ‘digital & technological’ era. I love the technology but the marriage has been rough between the past and present. The battle was won by neither as a hybrid came forth. This is a how innovation begins when it challenges the status quo! I am quite fascinated by Twitter and its ability to drive readers to a blog. The things which folks liked and are finding interesting are amazing - the Twitter experience is like a roller-coaster of production! Tagging on Twitter is really fantastic as it zones into a field and can generate interest. Promoting my blogs, having persons follow on Twitter has given a closer look at social media habits with LinkedIn writers/readers, and the avid bloggers. 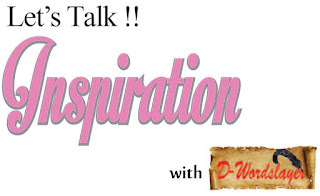 What happens next in this discovery of blogging & social media potential is quite exciting… D-Wordslayer has a vibe and emotional description and is more like an alter ego than a pen name. This is the part of adventure which can morph and become a dynamic silhouette, adapting to the changing times. For your ease and enjoyment here are our Customer Service Tips from this week! Engage with me and lets share some feedback on how this message works for you! Thanks for reading, commenting and sharing. You are awesome! Being the best You to win! Competition is the other people, who want to be better than you at what you do. Maybe they are – so let’s keep it real and focus on improving our position in our chosen field or market! The road to being ahead of the rest means giving more than expected continuously. Or to say it differently – doing it so well no one wants to look around! What makes you different? What makes your company, its products & services different? These are questions we should be able to understand and have a response for. The ability to stand out in a crowd can help attract attention to you – both positive and negative reactions. Let’s be real; if the competition has positioned their product on price maybe they will attract an initial big audience. If quality, service, accessibility and reputation can back them up, you have to find an area of uniqueness to gain your own market share. It’s a lot easier when the competition is not great at anything – but do you really want to be pegged against the worst? It’s about giving an experience which is so good, repeat business can be continuous from loyal customers! Be bold, be different, be the reason you are sought by customers and everyone. Blending in can make you anonymous. 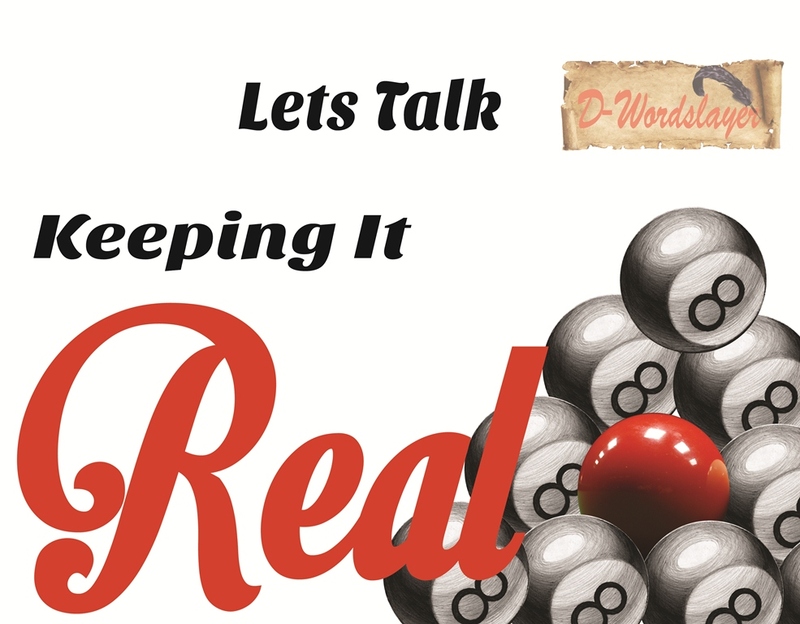 Keep it real and show why your customer service is superior! Let the competition stand in your shadow! Share your feedback and any topics you’d like to have covered! 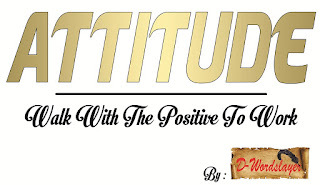 Thanks and have a successful day! We all have choices and it's the same for customers. Making decisions is a distinct art and can be influenced by external factors and personal preferences. That decision to choose one thing over the other can be based on methodical comparison or impulsive reaction. Can you influence the decision making process and sway it to your favor - of course you can! Appealing to the customer's needs or desires will take some relevant persuasion. Buying a car and buying a pair of shoes may take a lot of consideration based on the individual and what's important to them. The customer's resources, relevance and awareness of purchase are key in the final decision. The value to the customer is what matters in separating him from his money! Technology has made it easy for customers to know and make a decision before getting to the store - retail or virtual. Find your customers before they find you to gain an advantage in the selection process! 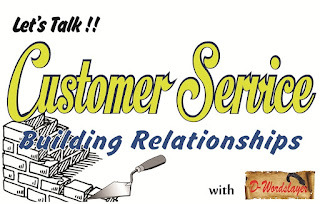 Customer Service has to start somewhere – and that’s with you! 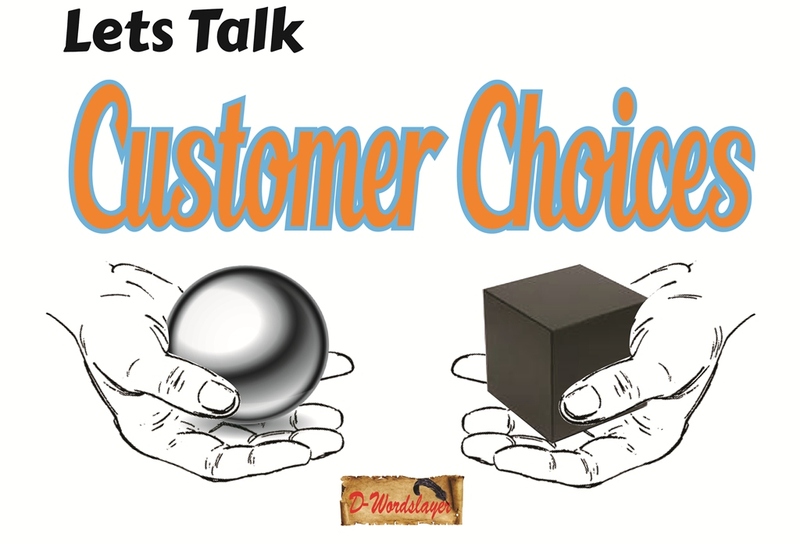 How do you feel about your customer? Do you enjoy dealing with others and helping solve problems, meeting needs, or finding solutions which will satisfy the customer? If your answer is ‘yes’ – you are off to a great start! During the transaction process gently inquire on satisfaction expected from the business decision to ensure the product or service matches up. If they insist on the wrong match – be sure to highlight the necessity and benefits of the right choice or advise against purchase. This ensures your company’s service and reputation are safeguarded. Do not be quick for a ‘bad hustle’, sometimes its better to walk away from a deal! Follow up after the sale, because you appreciate the customer’s business and its the right thing to do. This gives an opportunity to get feedback on customer satisfaction! Appreciation is not a ‘special customer service day’ event. Customers appreciate when you remember them by name, birthday’s and business conducted previously. Cultivate your appreciation as a habit! Another week has started and it’s time to get some focus on business. How are you going to get new relationships started to get new business. Maybe it’s a better idea to first check in with the older/ regular customers. They have done business before with you and its a great place to start. So what’s holding you back…have you kept in touch? The ability to influence another person in making a decision should be a high priority this year! Keeping in touch with existing customers can be the beginning of customers becoming a great source of introductions! Yes, that’s right. The value of a referral both sought and unexpected is life changing! 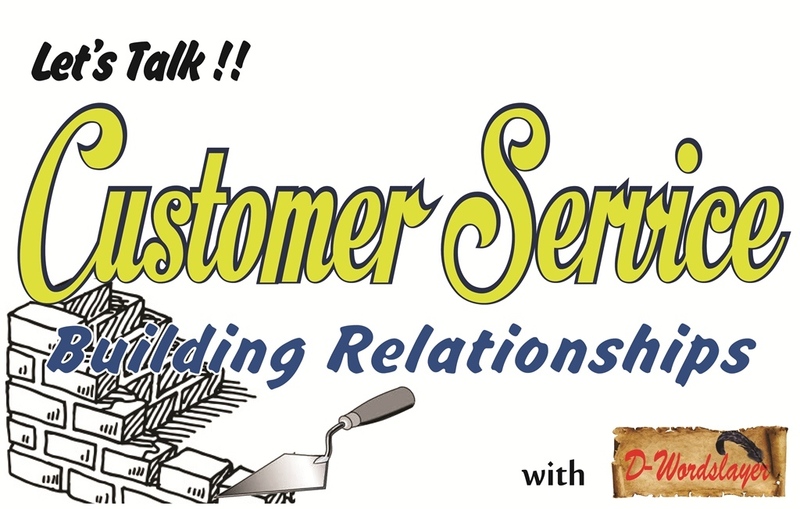 Your service to your existing customer should always be great enough to foster trust! Attracting new customers from present customers is really cultivating your own opportunities to broaden your reach! It’s otherwise known as networking …. It’s easier to deepen customer relations with existing customers than cultivating new ones. Spend some time weekly checking in. Get acquainted with those you know and get introduced to others! Reflections - Value Each Day! Let's Talk ... About Your PUMP! Writing Write - My Words For You!